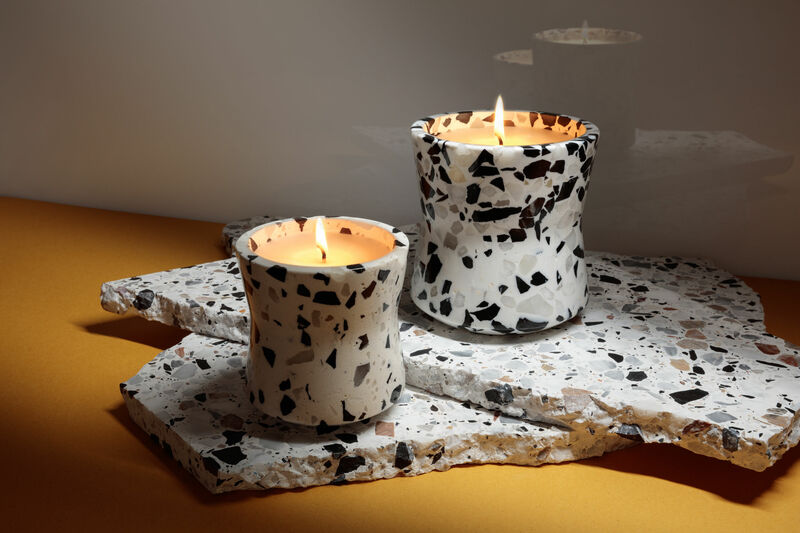 A trendy mineral material ... With its smooth, polished surface, the Terrazzo candlestick is pleasant to the touch and soft on the eye, inviting the Mediterranean into our homes with true refinement. Originally from Italy, the Terrazzo is made of fragments of natural stone and marble coloured and agglomerated with cement. 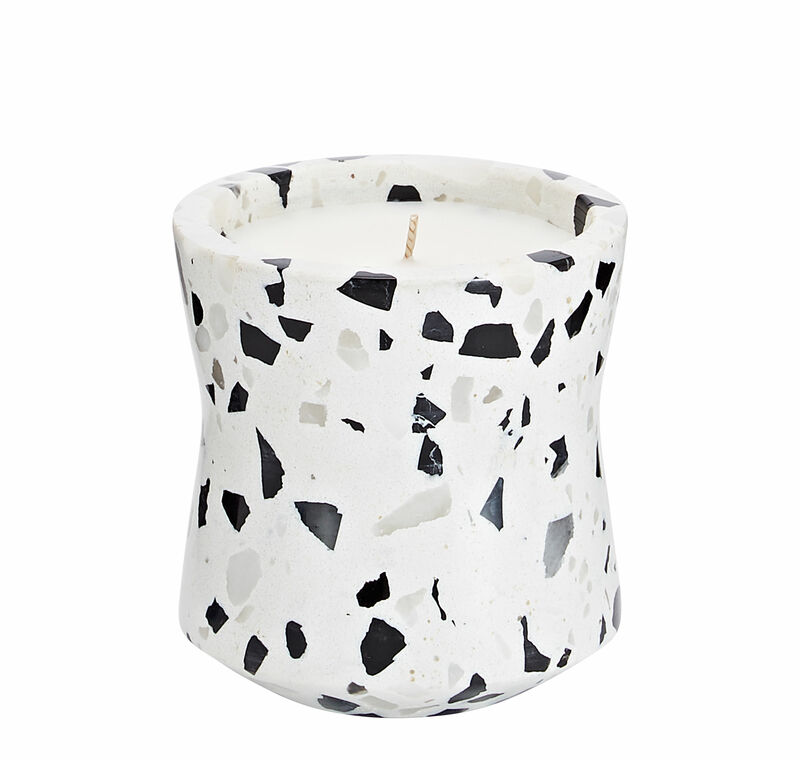 Its mottled material with random patterns makes each candlestick unique. 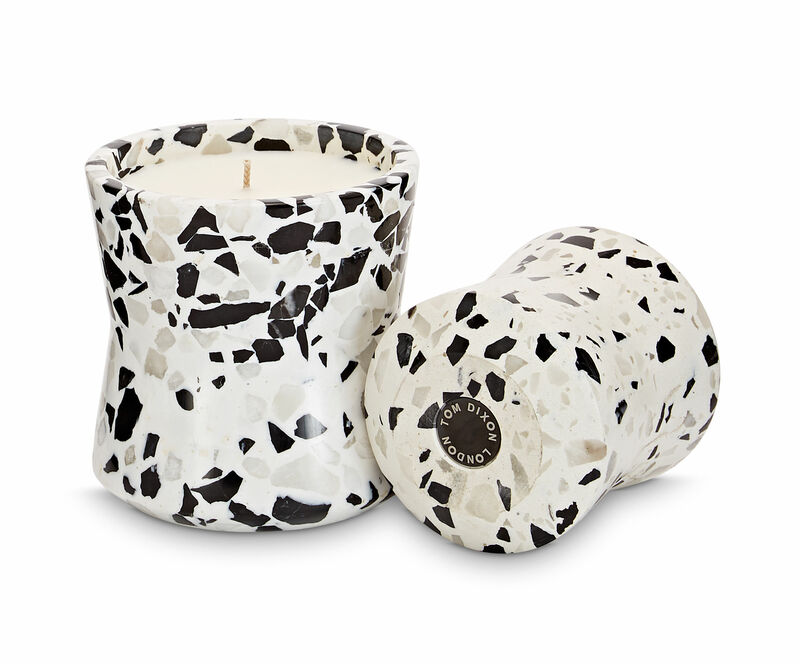 In harmony with the case that protects it, the scented candle brings out the perfumes of the South: a sweet scent of fig supplemented by subtle hints of bergamot, lemon, black pepper and ginger. 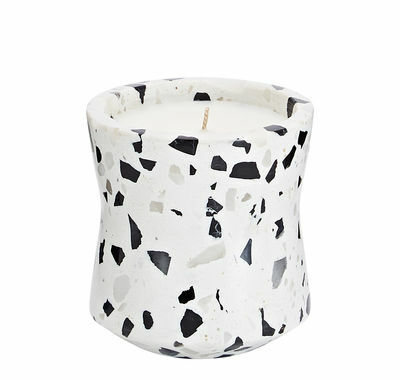 Once the candle is completely burnt down, its attractive pot can be reused to store your little treasures.